A manic week of DIY has left no time to read, or do anything else beyond a bleary-eyed half hour brain drain in front of the TV. But, a relaxing Sunday meant that a quick journey into the weird world of dead letters was in order. Cancer Dancer by Pat Cadigan is another quality short story, epitomising the feeling of this collection yet adding the very heavy hearted emotion of cancer diagnosis. The letter in this tale contains a cryptic message, an address and an odd bank-like swipe card. What starts out as a distraction from the crushing news of a cancer prognosis soon escalates. As the protagonist begins to investigate the note she soon discovers that the letter’s original recipient has died and that his supposed daughter is aggressively keen to get her hands on that weird bank card. Her enquiries lead her to a strange building with an even stranger meaning behind it. Heartfelt and engaging, Cancer Dancer is a clever, cathartic tale. I’ve been wanting to read more horror lately yet know little about where to start in the genre. Apart from the Stephen King and James Herbert stuff I enjoyed in my youth, I’ve been looking at who to read and Ramsey Campbell is clearly a good beginning. The Wrong Game is meta-fiction at it’s finest. Referring to the editor of this anthology, Campbell relates how the letter he received, thinking it the prompt, was something else entirely. A spiralling sense of dread fuels the author’s investigation into the contents of the letter until a memory surfaces that sets in motion a visit to a creepy, abandoned hotel. Campbell acknowledges his own place in the story as fact and fiction merge and flow. However it is the gritty, grimy conclusion which gives this story it’s true worth. During all the DIY, I’ve finally begun to unpack the tower of book boxes. There’s lots I’ve yet to read and some great new stuff I’ve been sent recently so expect more posts soon. 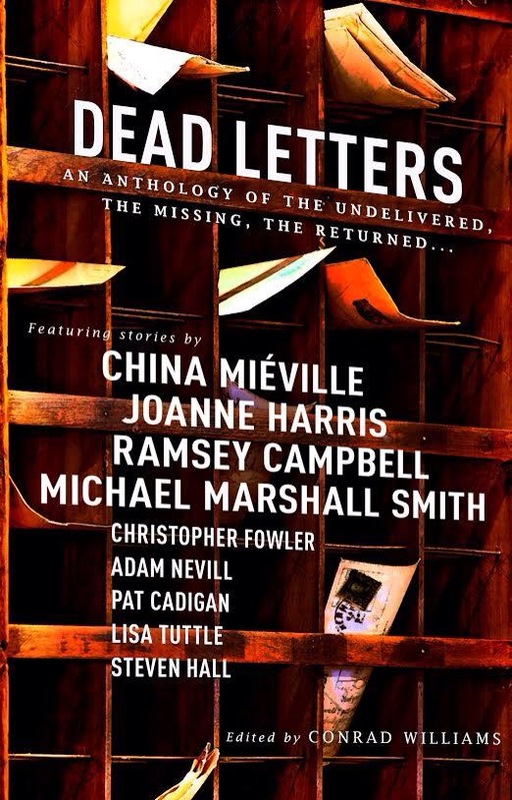 After a Saturday filled with DIY and an obscene amount of burpees, today felt like the right time to delve back into Dead Letters: An Anthology of The Undelivered, The Missing, The Returned. Joanne Harris’ In Memoriam seemingly starts off as a very literal interpretation of the brief for this collection, detailing the work of one man within the National Returns Centre (aka Dead Letter Office). However, by turns, each pinpointed by a slight yet significant memory, the story becomes increasingly weirder and creepier. The man in question finds a long lost letter addressed to him, containing a data stick. The consequences are unsettling as his memories unravel to reveal a frightening truth. Ausland by Alison Moore is an odd, short piece of writing. It’s suggestive and speculative, told from the perspective of an elderly lady meeting her childhood friend after so many decades apart. Ausland touches on a fun idea yet does so from afar, from the point of view of someone who just glimpses a moment of a much larger picture. Quirky and clever, it’s an enjoyable and bite sized piece of work. Wonders to Come by Christopher Fowler is a bizarre story that twists the notion of an alien invasion with a brilliant flourish. Unlike the other pieces I’ve read from this anthology, Fowler gives a mere sideways glance to the Royal Mail, eschewing it in favour of an encroaching and ultimately apocalyptic tale of an arrogation from outer space. An excellent piece of writing that evolves quietly from thriller to alien killer seamlessly, Wonders to Come is a masterful short story. Turning the idea of ‘visitors from space landing in a field’ to ‘weird entities infiltrate a state-of-the-art super hotel and kill everyone’ was inspired yet it is the writer’s ability to hook the interest from the outset that deserves attention. This compilation of stories continues to entertain and I’ll be back to read more soon. Definitely worth checking out if you like creepy, strange and scary stories. There’s world building and then there’s world building; Yoon Ha Lee’s Ninefox Gambit falls firmly in the latter category. It’s a stunning piece of creativity that melds futuristic ideas of technology and the feel of an epic space opera with the ephemeral and magical vibe of pure fantasy. Add in to that a complicated relationship to mathematics and ideas of game theory, you’ll be somewhere close to what Ninefox Gambit achieves. Yet, it does so much more. Cheris, a Kel soldier, is made a pawn in the schemes of the ruling hegemony as it seeks to destroy the rot of heresy within one of it’s star system citadels. Shuos Jedao, a long dead, mad general, is a data ghost resurrected and implanted into such pawns to crush uprisings and rebellions. However, Cheris is a formidable mathematician and Jedao is far from insane. Together the pair are forced into a game of far-reaching politics and terrible consequences. 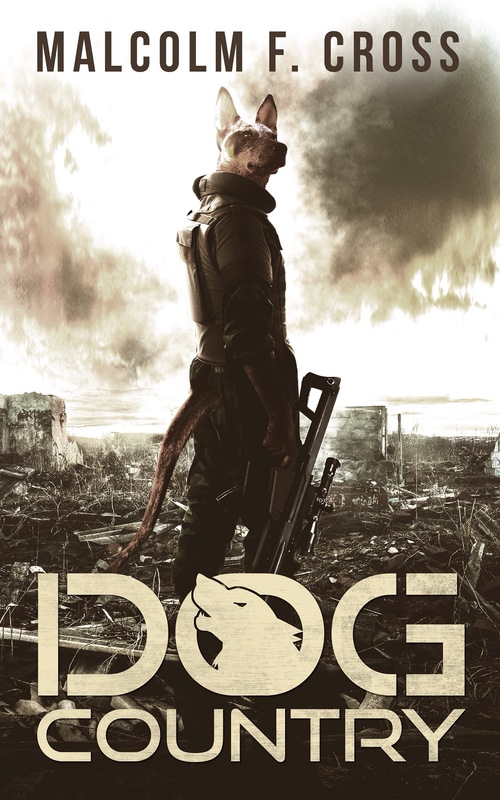 From the outset the application of unique symbols and signifiers, far from the normal tropes of sci-fi, give the novel a wondrous appeal that grips the imagination tighter and tighter as the story gathers pace. While on the surface Cheris and Jedao engage in a siege action against the heretics, where we get to learn more about the math based technology (a fascinating feature) and hierarchy of archetypes (like Kel and Shous) it is the underlying plot that slowly and ominously surfaces to produce such a memorable conclusion. Yoon Ha Lee possesses an amazing talent for prose, adding a tumbling poetry to the stark rigidness of the society he has created. Yet his ability to weave the story and hide the twists and turns of his plot so effectively was refreshing. 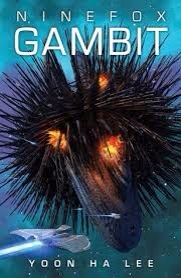 Ninefox Gambit is epic fantastic sci-fi at it’s best; it’s full of politics, space warfare, treachery and revenge. The book is an astounding work of creativity, sumptuous writing and thrilling story telling. As the opening of a proposed trilogy, Ninefox Gambit promises to be the start of an awesome series.